Franklin Williams, A Thing, 1965, acrylic, gesso, spray paint, silk, and yarn on canvas stuffed with cotton batting, 38 x 9 x 6". On the heels of a group exhibition of artists associated with the Northern California movement known as “Nut Art,” this gallery dives deep into the work of one of its progenitors, Franklin Williams. Focusing on the first decade of the artist’s career—from the time he was an undergraduate at the California College of Arts and Crafts in Oakland to the early years of his teaching at the San Francisco Art Institute alongside Jay DeFeo and Bruce Conner—this focused show is, above all, an opportunity to see how an artist found his own way. One can track Williams emerging from the monochromatic-assemblage aesthetics that were all the rage in the Bay Area when he was a student. His interpretations of this inherited style are of particular interest—especially a suite of paper collage works, which have been folded, sliced, and mounted onto wood. All untitled and from 1965, each contains a glimmer of the polychromatic wonder that would come to define his practice. Contemporaneous with these collages are bulbous, creature-like figures made of canvas stuffed with cotton batting. Sometimes these organic forms snake around a wooden frame, as in an untitled piece from 1964, which cheekily devours one medium (painting) in favor of another (sculpture). 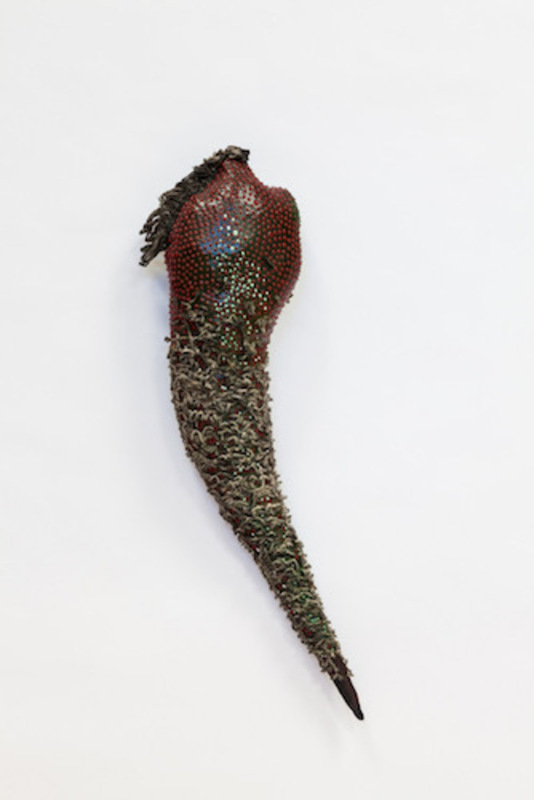 At once protozoan and fang-like, another of these hybrids, also dated 1965, hangs on a wall outside one of the gallery’s intimate exhibition spaces. An indentation in the top of the sculpture suggests an open mouth, and near it is a line of chopped yarn like a furry Mohawk, or cilia. The title? A Thing.